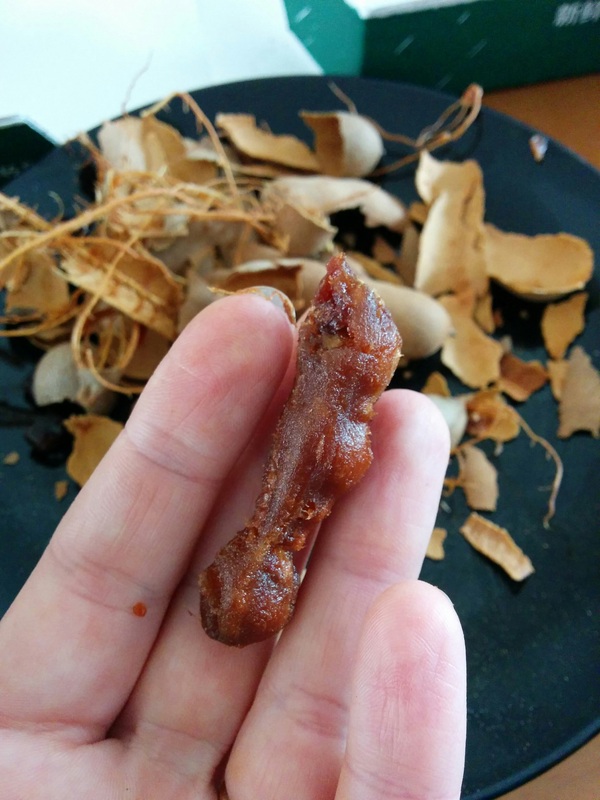 I knew tamarind existed before we moved to China. On trips to Mexico and Thailand, I had met this fruit, but only in the form of drinks, candies, and pad thai sauce. 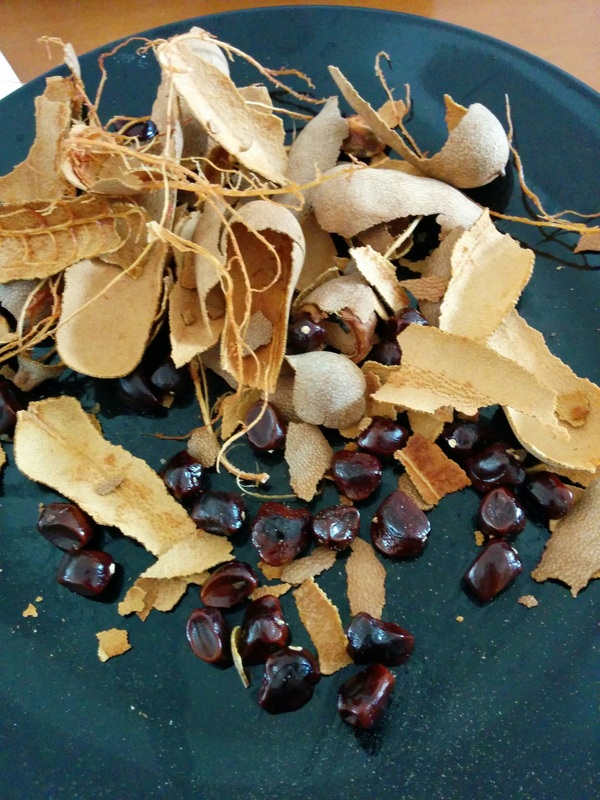 It was nice to discover that tamarind is also delicious as fresh fruit. 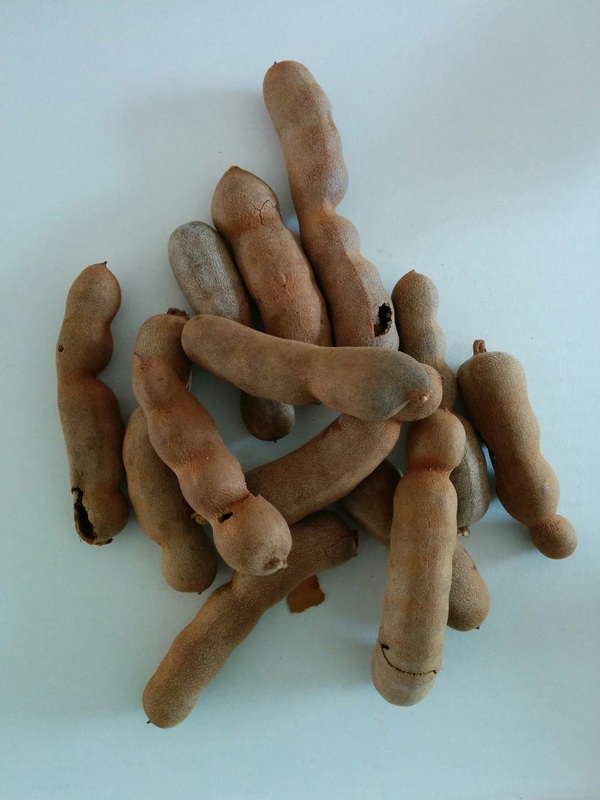 Tamarind comes in these pods, which have a thin, hard shell and look a whole lot like cat poo. You can easily crack open the shell with your hands, and peel away the fibrous threads. Then it looks even more like cat poo. I’m keeping that in mind for April 1st. 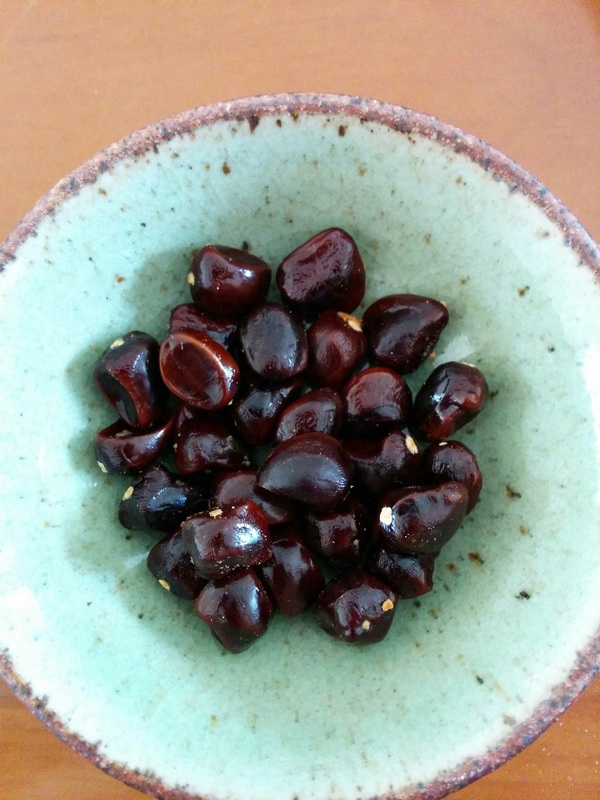 The fruit is soft and a bit like medjool dates, but tamarind has a lovely tart kick to it. If you’re hanging out and chatting with friends while you eat this, you will keep going mindlessly on this stuff. It is very pleasant to eat, as evidenced by this pile. Inside each nodule is a smooth, shiny seed. It’s really easy to eat the fruit off the seed. The seeds look like they need their own Pinterest page for “easy fall nature crafts,” don’t they? So pretty. Must find use. Must craft. Eating, What in the Middle Kingdom?